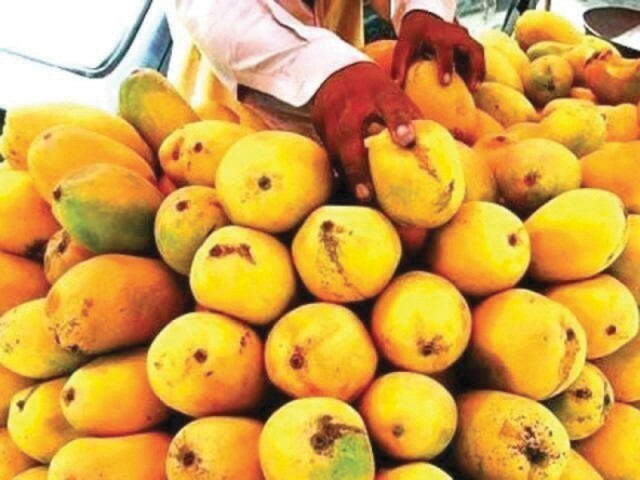 KARACHI: Being alarmed by the European Union (EU) ban on the import of Indian mangoes, Pakistan exporters have urged the government to strictly monitor this year’s mango exports to the EU. Pakistan Fruit and Vegetable Exporters, Importers and Merchant Association (PFVA) has asked the Ministry of National Food Security and Research to take a number of steps to save mango exports to the EU during the forthcoming season. PFVA, through the protocol sent to the ministry, has suggested the ministry to only allow those exporters who follow these protocols. Starting this April, proper documented spray, hygiene, and control measures need to be put in place (Integrated Pest Management). The orchards from where the fruit for the EU are going to be procured should be available for Department of Plant Protection (DPP) and Trade Development Authority of Pakistan (TDAP) inspections. The protocols say that the exporters must initiate facilitating the farmers for Global GAP certification in this season. The exporters should remove any saps, bruises, or deformed mangoes when preparing for a shipment to the EU. These injuries and marks affect the quality and increase the possibility of a rejection on the suspicion of pest presence. The minimum tolerance level of grading and sizing must meet the EU standard marketing standard for mangoes. The criterion for the preparation and handling of shipment must be in accordance with the appropriate section of the recommended international code of practice. Exporters must conduct the laboratory analysis for microbiological, heavy metal contamination and pesticide residues from an ISO 17025 certified (PCSIR) laboratory to ensure that these contaminants and residues are in acceptable limits as prescribed by the EU. The cost of these tests must be facilitated by the TDAP either fully or at least 50%. The DPP must ensure the inspection of cargo before issuing the phytosanitory certificate. The DPP must ensure to set any machinery equipped with latest technology which can scan the cargo in order to detect the internal infestation of fruit as soon as possible. Published in The Express Tribune, April 22nd, 2014.